Spring cleaning is an annual ritual to clear out all of the dust, cobwebs, and clutter that have accumulated in your home over the winter. Our bodies also deserve a “spring cleaning” to flush out toxins that have accumulated over time. Adding a detoxifying cleanse to your annual routine can help increase your energy flow and help with your overall well-being. The simplest ways for your body to naturally eliminate toxins are through breathing, sweating, and eliminating through your gastrointestinal system. There are a wide variety of methods for cleansing your body, along with many different levels of intensity. However, the simplest and single most important step you can take to help your body flush out toxins is to drink more water. Adding more movement to your daily routine can also help increase your circulation and release endorphins, which act as positive mood boosters. 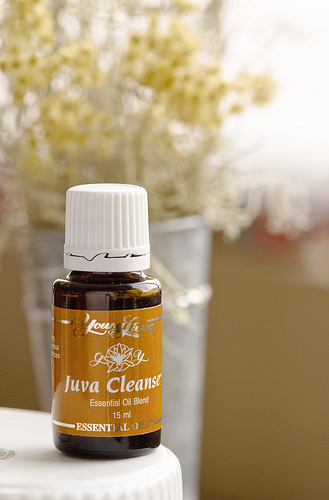 JuvaCleanse® and JuvaFlex® essential oil blends help support the body’s digestive system. JuvaPower® and JuvaSpice® can be sprinkled on foods to add extra fiber and nutrients to your digestive system. JuvaTone® tablets provide vital nutrients to support a healthy digestive system. Here are some examples of different types of internal cleanses. Be sure to consult with your health professional before starting a cleansing regimen. Mix and drink 6–12 glasses daily. 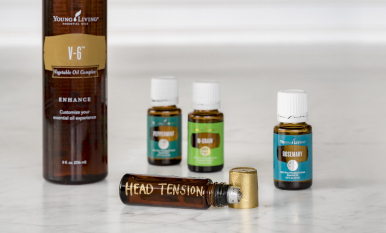 Young Living Founder and CEO D. Gary Young created this recipe over 25 years ago to provide concentrated nutrients. Puree all ingredients in a blender and drink ¼–½ cup every 2–3 hours. 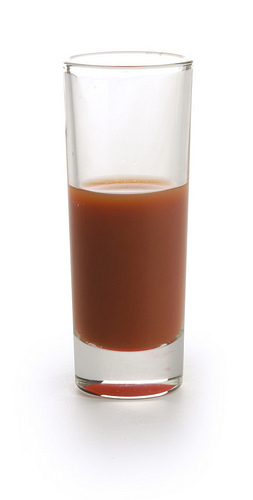 This refreshing drink is simple to make and easy to drink throughout the day. Mix ingredients together in a pitcher and store in the refrigerator. 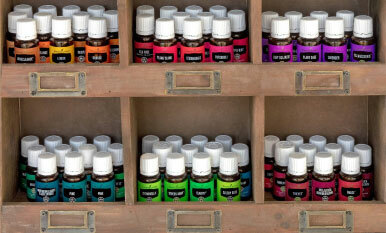 Please share your experience incorporating Young Living essential oils when you’ve been doing a detoxing cleanse.